Birmingham, Alabama 07 September 2016 – Interaction Advisory Group (IAG) today announced that it has formalized a partnership with the University of Alabama at Birmingham (UAB) School of Health Professions (SHP). SHP has taken an equity stake in IAG, a leading provider of context-specific customized information and training to Law Enforcement, First Responders, public service officials, educators as well as private sector workers on how to safely and effectively interact with individuals with special needs. SHP will formally work with IAG to develop additional material and content as well as promote the need for training. 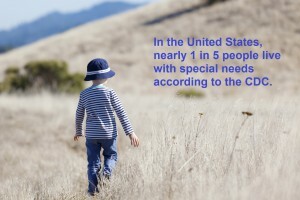 In the United States, 1 in 5 people live with special needs. The majority of special needs are not identifiable just by looking at someone. To identify a person with special needs requires direct interaction and the ability to accurately assess a situation. To accurately assess a person with special needs, and thereby keep everyone safe, requires specialized training. IAG was co-founded by Dustin Chandler a former police officer and father of a child with special needs along with Kirchner Group, an international recognized traditional merchant bank. IAG was formed to improve the engagements between those with special needs and society at large by working to ensure citizen safety through first responder training and awareness. The UAB School of Health Professions will utilize their state of the art technology, stringent academic standards and decades of curriculum development experience to develop the gold standard for asynchronous (online) training on this subject matter for IAG. IAG’s asynchronous training will enable the effective training of large numbers of individuals across the country and internationally through a proprietary user friendly interface. IAG and UAB plan to make a formal announcement of the launch of its asynchronous training early in the fall of 2016. Kirchner Group was founded in 1985 on two fundamental premises: all businesses should contribute to a positive human future and that every business, and portfolio of businesses, can be made more valuable. Today, the firm is a values-based corporate ecosystem, committed to the integration of “earning and returning”. The odds you encounter someone with special needs greatly increase every day you serve.